Edward J. 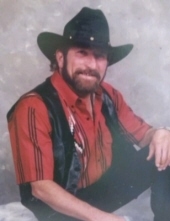 Green, 67, passed away Tuesday, April 9, 2019. Ed was born September 13, 1951 in Detroit, Michigan to the late Paul W. and Clara Belle (Wainwright) Green. He was a woodworker all his life, enjoying most to make blanket chests. Ed started Green Construction Company and ran it until his retirement. He also enjoyed making home-made wine. Edward is survived by his 2 Sons; James E. (Renee) Green and Robert D. (Joni) Green. He is also survived by 8 Grandchildren; Cody Yocum, Malachi Green, Notoria Green, Justina Green, Hunter Green, Tyler Green, Taylor Green and Ashlyn Green. Ed is survived by 2 Sisters; Susan Illig and Mary Kay Lincoln. He was pre-deceased by his Parents, Paul and Clara Green, a son Paul William Green, II, a brother Robert A. Green and a Brother-in-law, Frank Illig. Funeral Services will be Sunday, April 14, 2019 at 4:00 pm at the Lee Ramsay Funeral Home - STANDISH CHAPEL, Standish, Michigan with the Rev. Fr. David Parsch officiating. Cremation will follow. The family will greet family and friends from 2:00 pm Sunday, April 14, 2019 at the Lee Ramsay Funeral Home-STANDISH CHAPEL till time of service at 4:00 pm. To send flowers or a remembrance gift to the family of Edward J. Green, please visit our Tribute Store. "Email Address" would like to share the life celebration of Edward J. Green. Click on the "link" to go to share a favorite memory or leave a condolence message for the family.